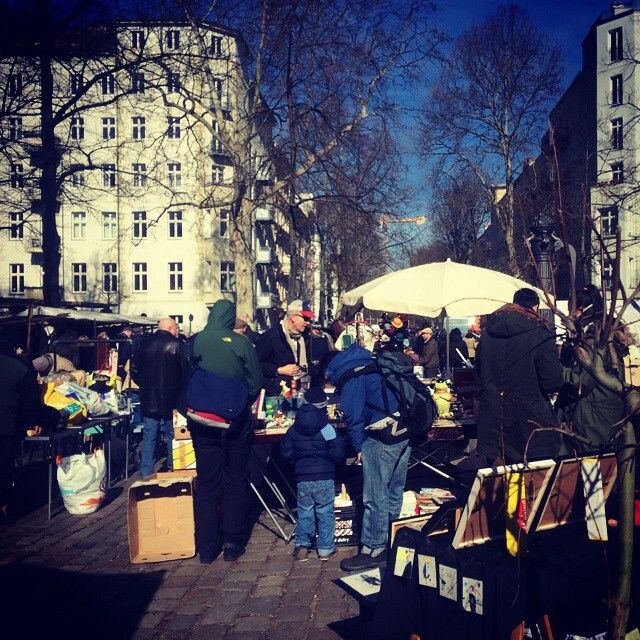 If you are planning to stroll across markets, the flea market at Arkonaplatz should definitely be on your list. 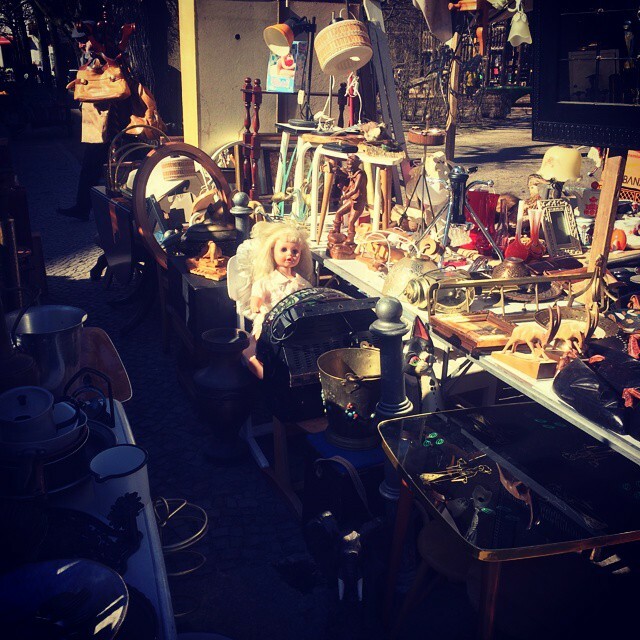 This flea market (open from 10:00 till 16:00) is a small place where you can find many design pieces, vintage decorations and other peculiarities. Arkonaplatz had the name Platz C der Abt. XI around the 1850’s. After it became a living area around in 1870, the place was renamed Arkona, after the cliff Cape Arkona. Arkonaplatz was designed as a decorative square by Hermann Mächtig in 1887 and was a place designed for the poor population. During World War II, from the 4000 flats in that area, around 1000 flats were destroyed. Everything was restored and modernized from 1970 through to 1984. Nowadays, Arkonaplatz is the place of the beloved flea market. This Sunday was the perfect day to explore this place. When I looked outside my bedroom window this morning, I saw the sun was shining (yay!). I looked at my spring coat for a moment and considered putting it on. However, I'm a shivery type of girl and I knew that I would be cold. After spending one minute outside with my winter coat and scarf, I already regretted not bringing my gloves. The sun was insidious: it was freaking cold. After grabbing ein Kaffee, it was only three stops from Alexanderplatz to Bernauerstrasse with the U8 and a 5 minute walk to Arkonaplatz. I was quite early (around 10 A.M.), because I don't have the patience to stroll behind 100 people at a flea market, nor in general, as a matter of fact. The place was pleasantly crowded when I arrived. People were being friendly and chatting with each other, talking about their weekend and leisurely taking their time on this beautiful Sunday morning. Furniture, paintings, clothing, books, jewellery and so on; it is all present at Arkonaplatz. If you are into the 50's/60's and are looking for furniture to decorate your apartment, this is the place to be unleashed. Many wooden and colourful chairs, tables and cabinets dominate this flea market. I must admit that I already fantasized about where I would put the blue 50's chair and three-piece table in my living room. However, the clothing at one particular stand was also dearly beloved. I wanted to take a look for myself between the row of women, simply to find out what was so special. I heard the sales lady at the stand saying that the green long coat a women was holding was a 'real designer piece'. I conclude: next week I have to be there at precisely 09:30 A.M. to find my perfect designer coat. 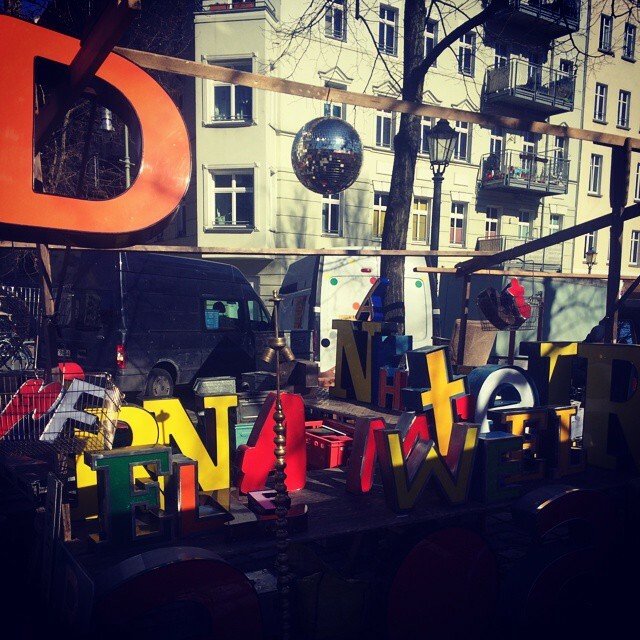 Arkonaplatz is the perfect combination of a small flea market combined with a rich offering of quality items and interesting junk. Last but not least, drink a coffee or tea around the square to complete your Sunday.